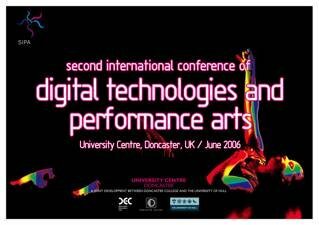 Myself and Stefan Östersjö have been invited to do a presentation of our paper "Negotiating the musical work (II): Computer-Performer interaction in Relation to Composer-Performer Interaction." In this paper we explore the inter-relations between performer and composer, aiming at a closer understanding of the significance of their negotiations. We approach this area empirically by analyzing video from a performer-composer collaboration. This data is also used in a discussion of the interaction between computer and performer. Read more about the conference here or read my comments on the conference here and here.